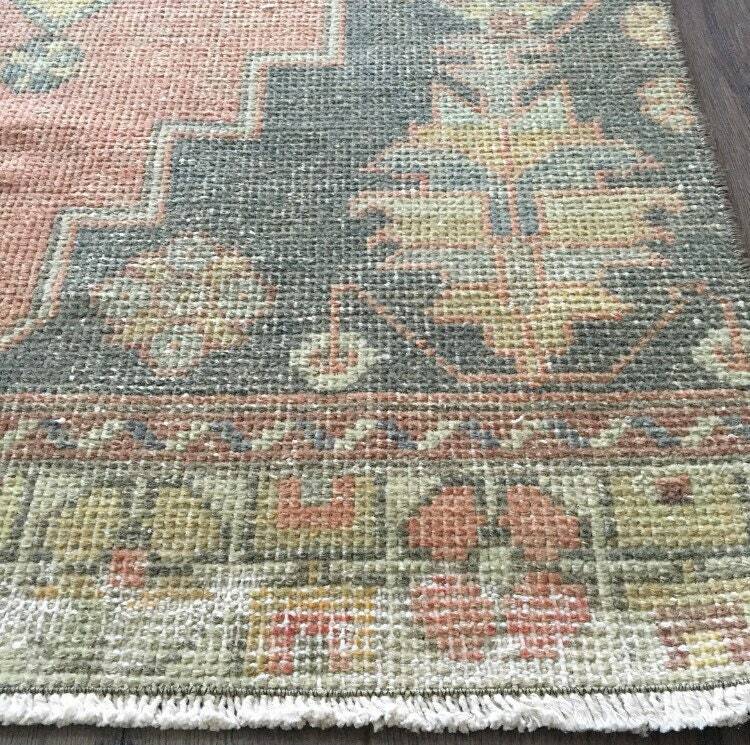 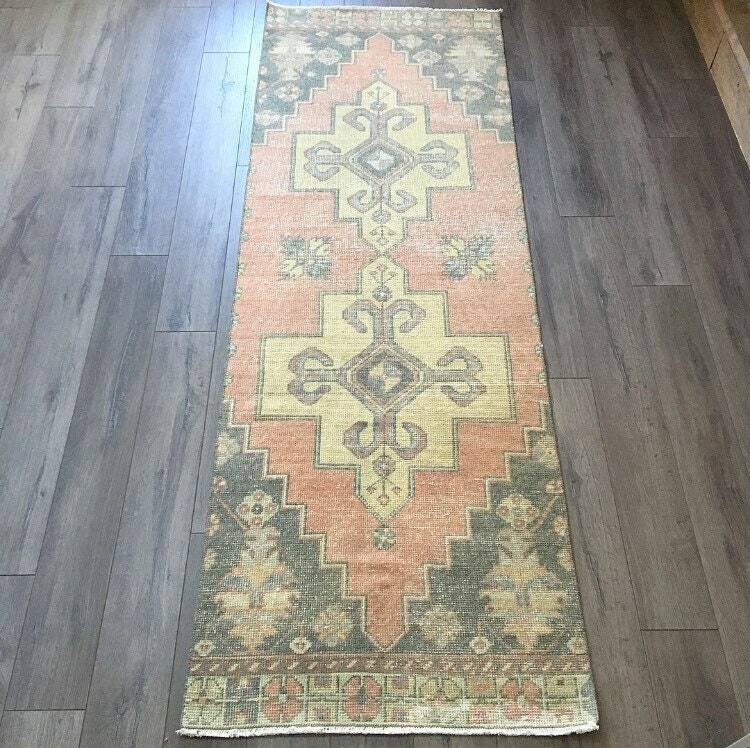 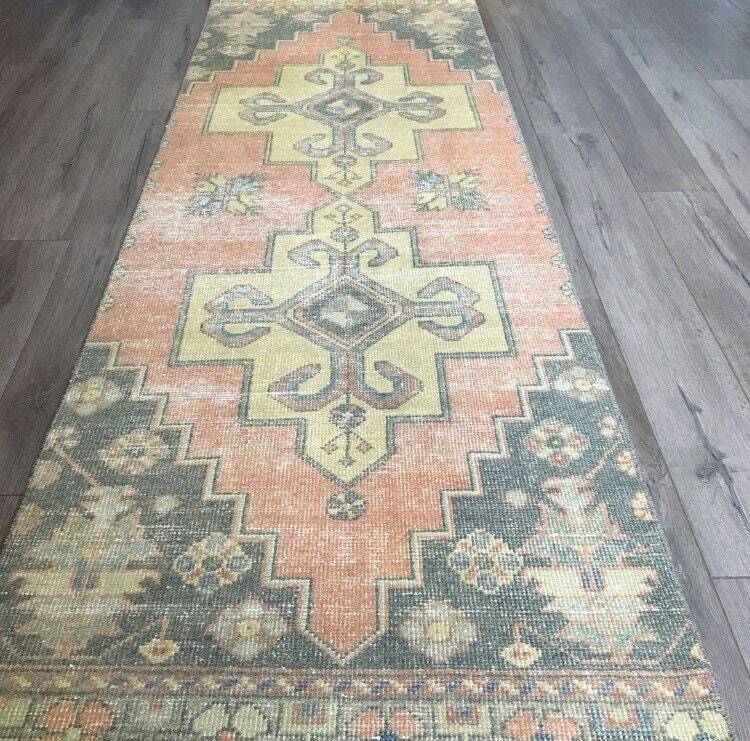 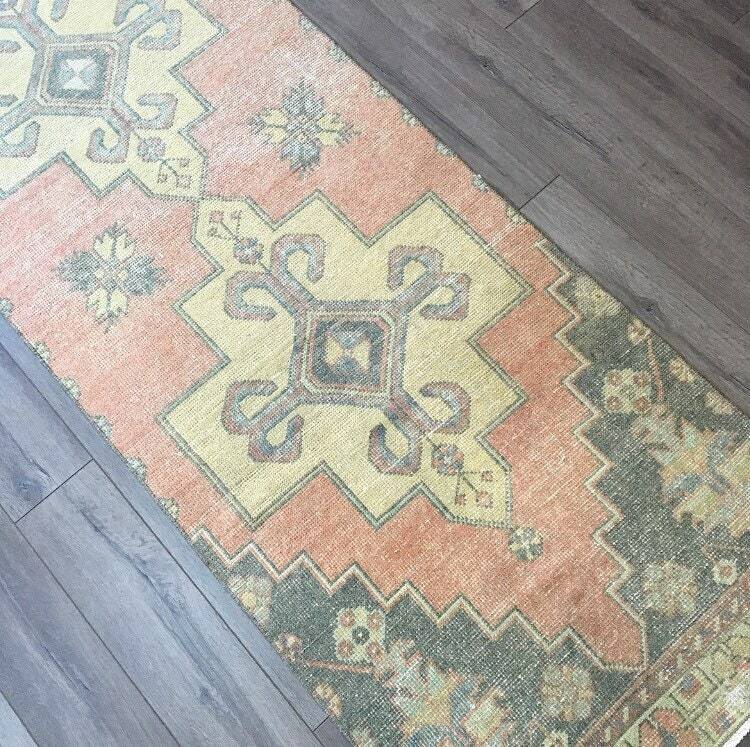 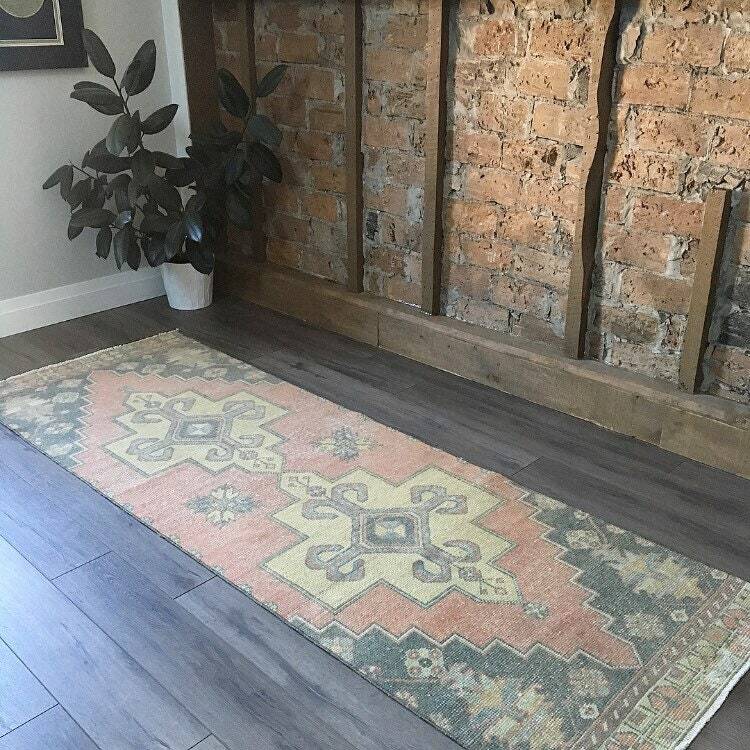 The vintage Turkish Oushak runner rug of our dreams... greeny-blue grey details against an earthy, terracotta field with pastel details and a double centre medallion in beautiful gold. 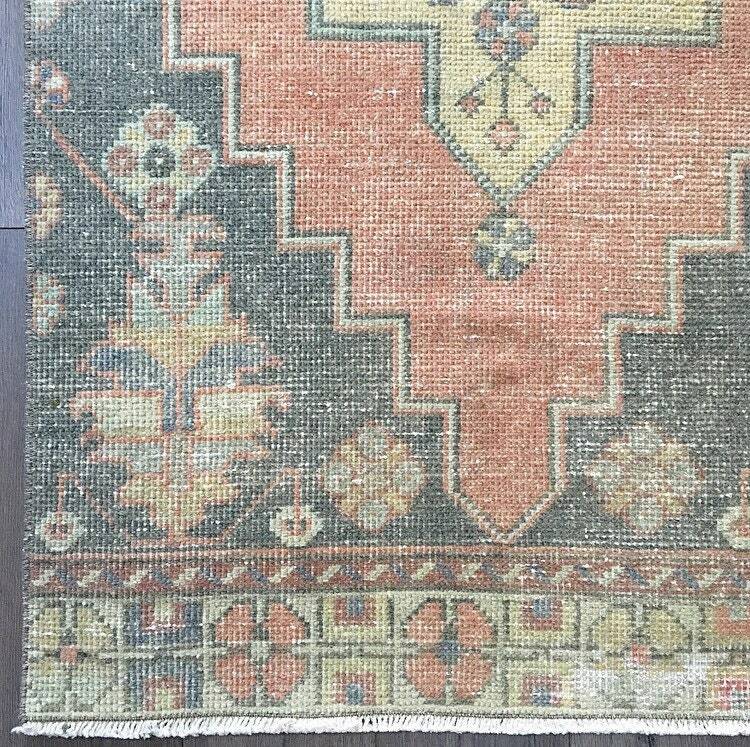 This one’s a stunner! 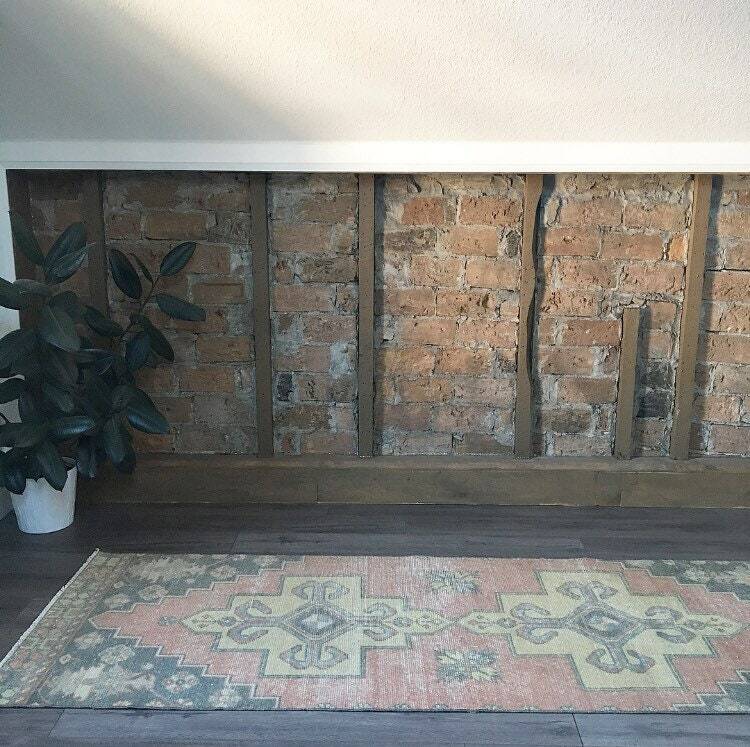 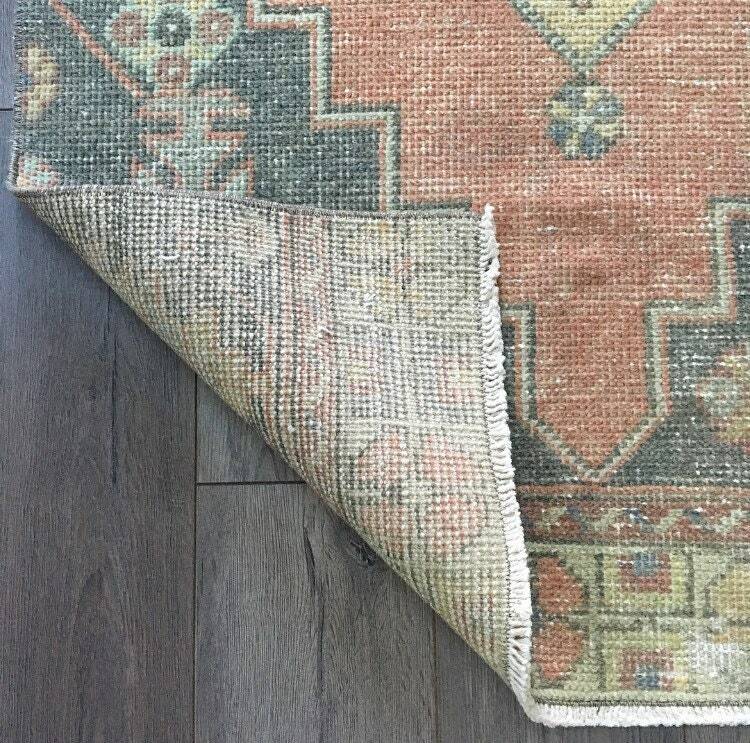 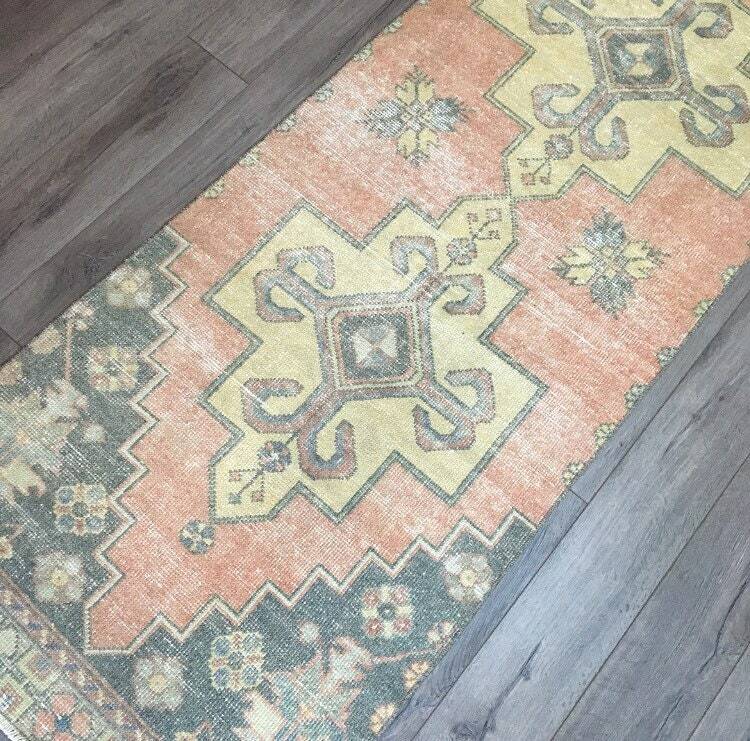 Perfectly sized for a kitchen or hallway, this rug will add colour and history to your space. 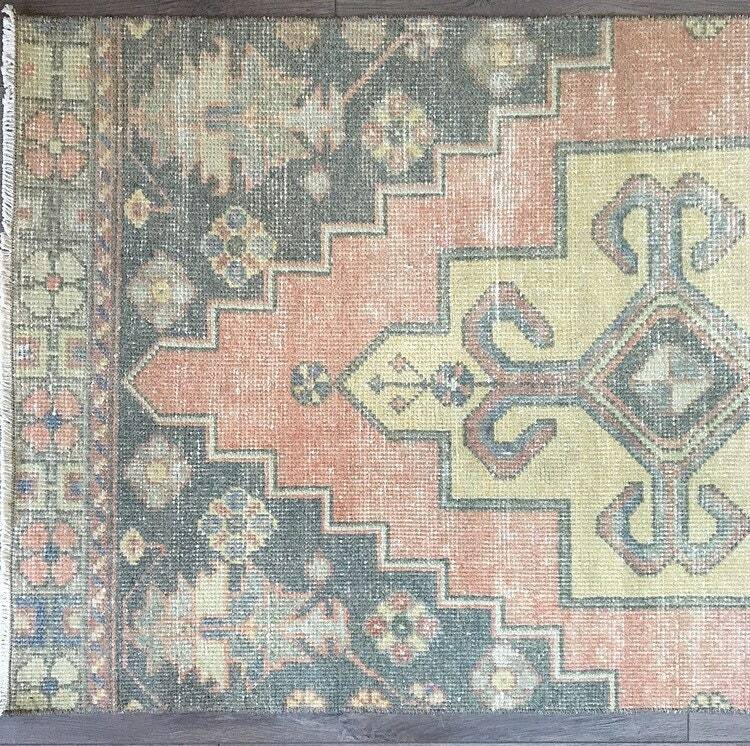 Colours: terracotta, with golden yellow, greeny-blue grey, and pastel details.